I was so excited to be offered the opportunity to review one of Ruth Rendell’s books. 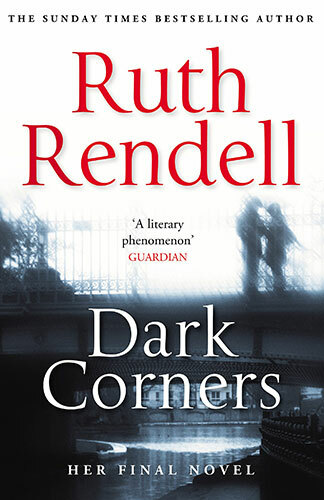 I had not previously read any Ruth Rendell despite her luminous reputation as a legend in the mystery genre, author of 66 novels, regarded by such as Patricia Cornwell as “Unequivocally the most brilliant crime writer of our time”. The publisher waxes effusively about this latest book ‘Dark Corners’, arguing “this is Rendell at her most memorable and best”. Not for me, it was a dreadful disappointment. The story concerns Carl, a young novelist in London who recently inherited a house from his father, and included in the legacy is a bathroom cupboard full of herbal medicines. Strapped for cash, Carl sells some herbal slimming pills to a close friend which inadvertently cause her death. This sets off a chain of events – recalcitrant tenants, murders, poisonings, blackmail, kidnapping. One could scarcely imagine a more supposedly psychologically tense, and suspenseful scenario. However the young cast of characters are poorly developed and have few redeeming qualities other than jealousy, neurotic obsessions and spiteful meddling. The narrative is mundane and scarcely credible, and there are several sub-plots which are tenuously connected to the main protagonists, subplots which are very unconvincingly and clumsily brought together. The book is well written, as one would expect of such a distinguished author. Rendell died in May 2015 and one hopes that perhaps, this being her last novel, somehow this was an early draft, reclaimed for publication. The book ends on page 279 “And now, now it is all over”. I for one was quite relieved, but also saddened. At some future time I may have a go at earlier and highly regarded Rendell masterpieces, but I think I may wait a while.